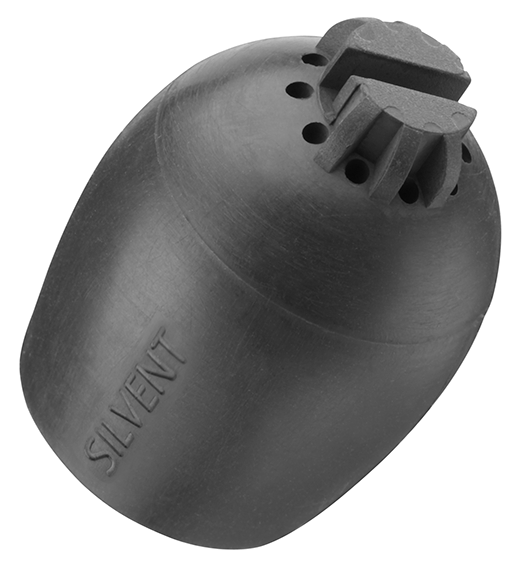 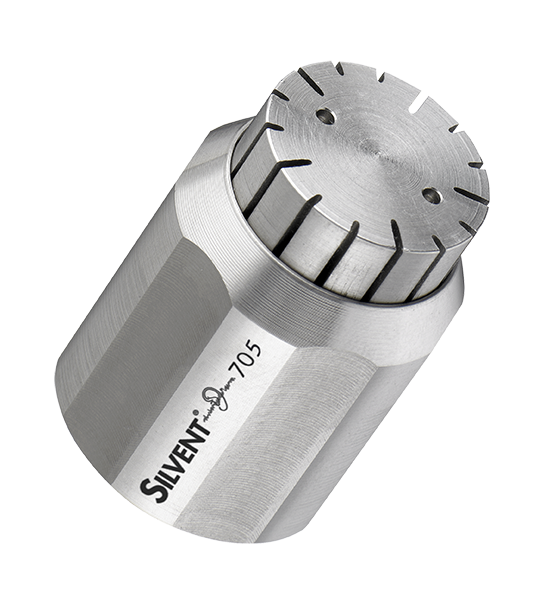 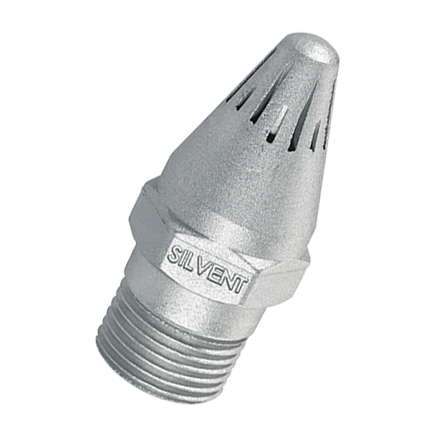 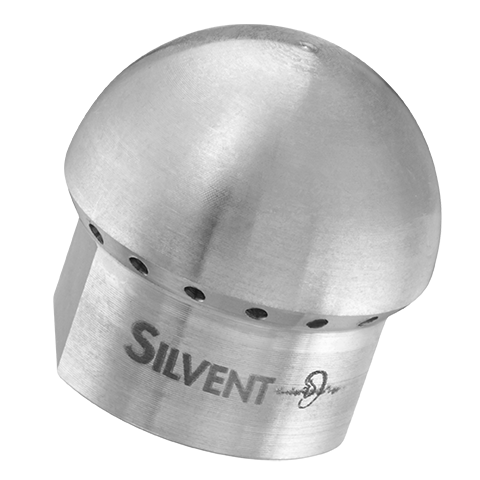 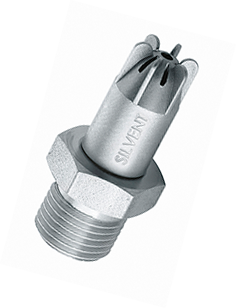 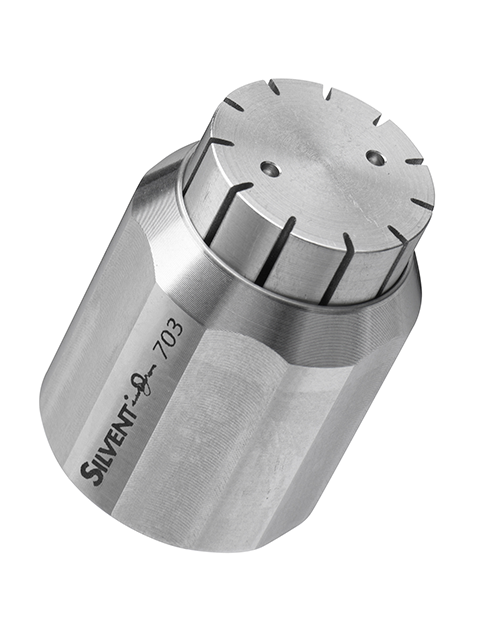 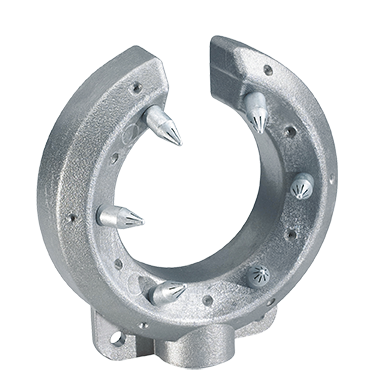 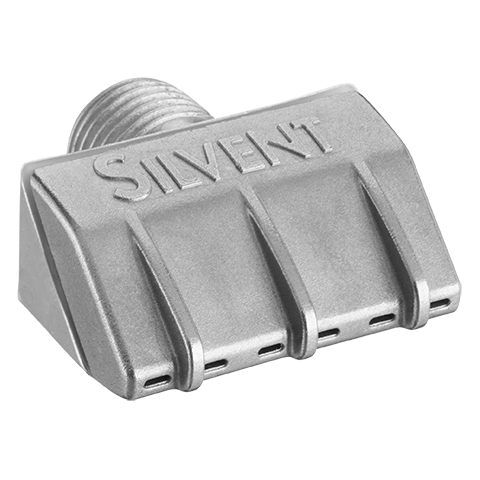 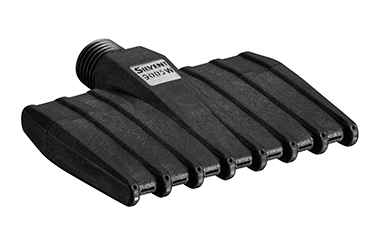 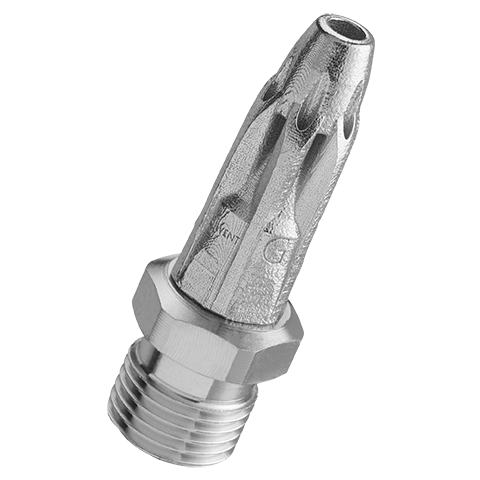 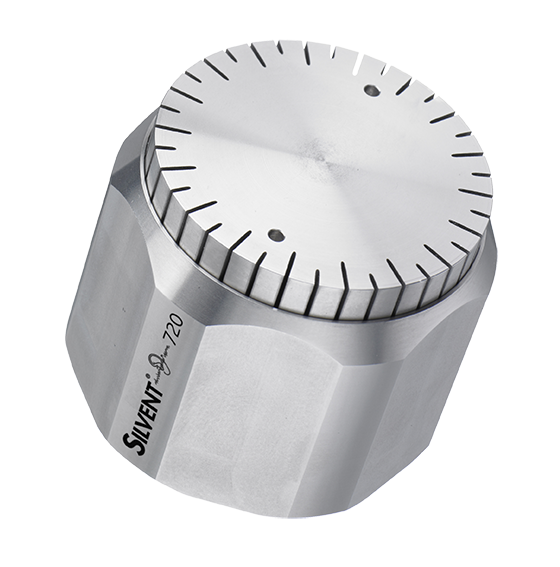 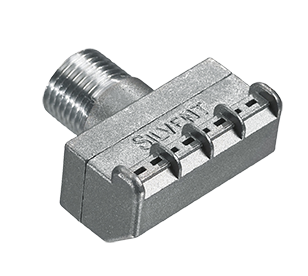 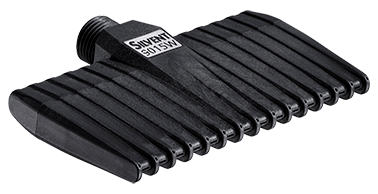 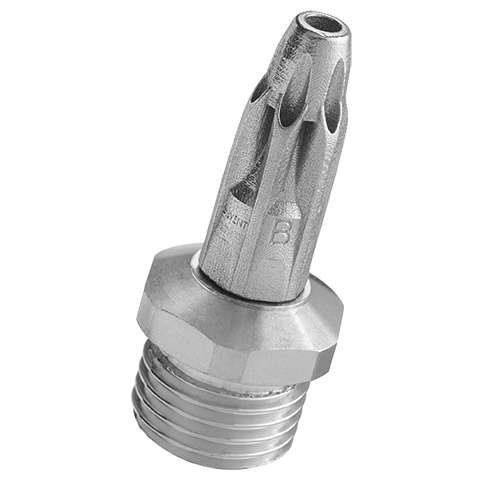 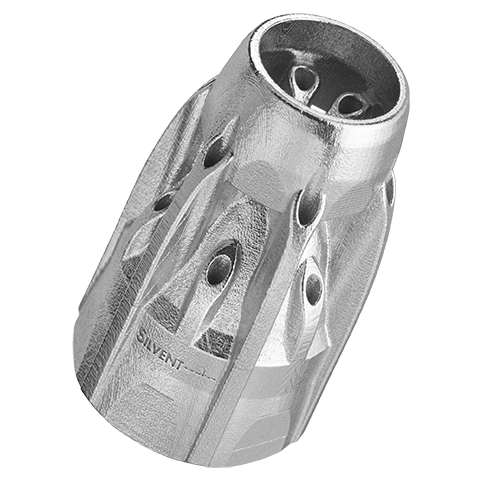 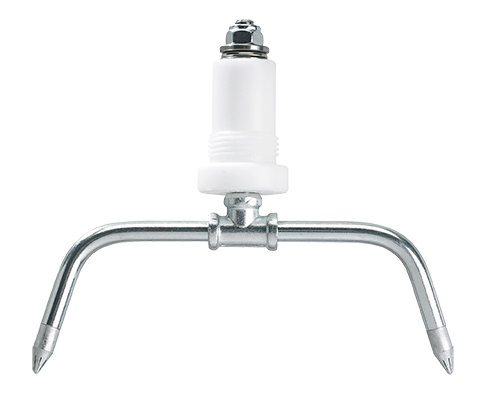 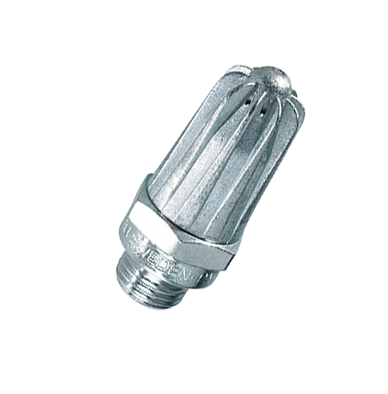 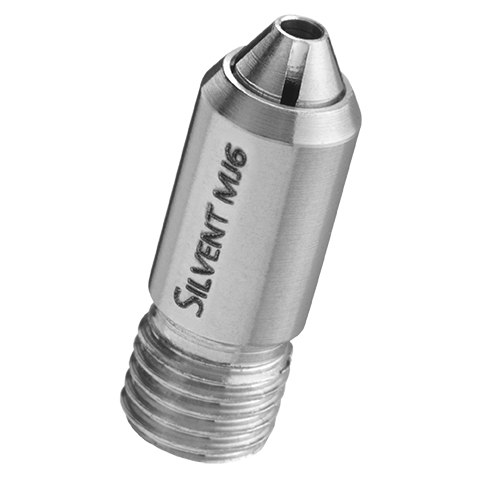 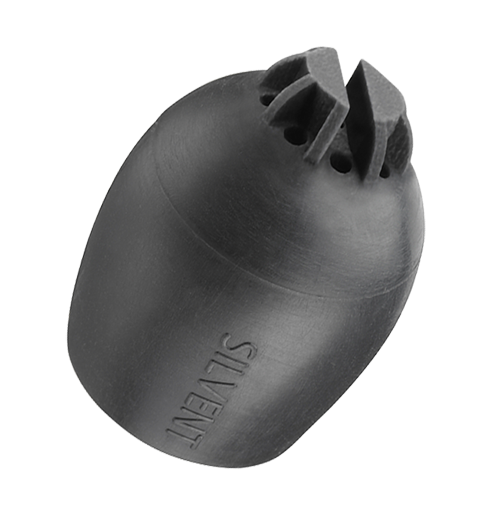 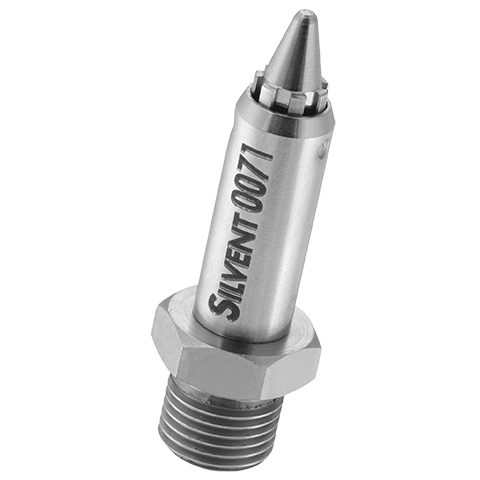 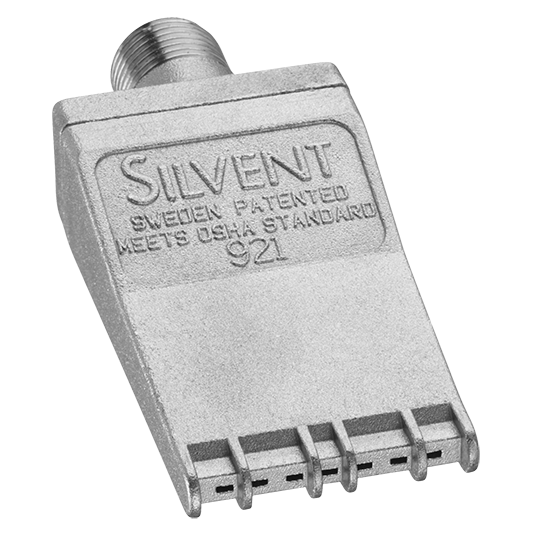 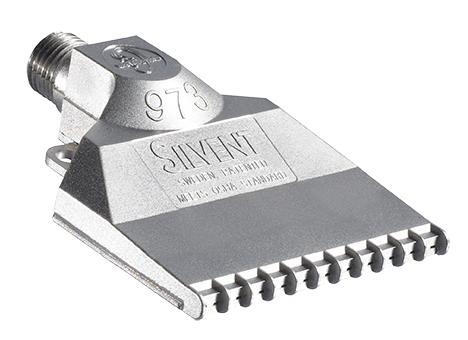 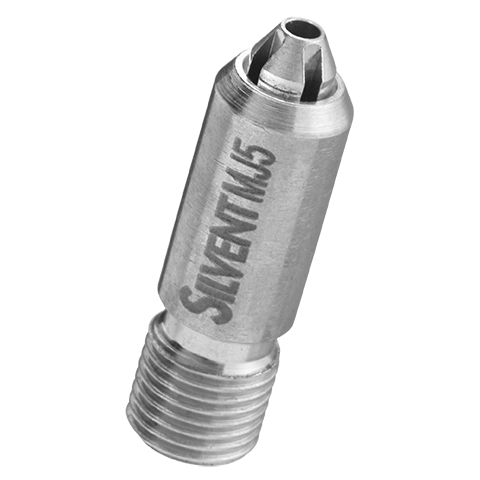 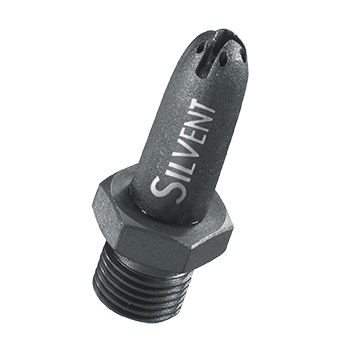 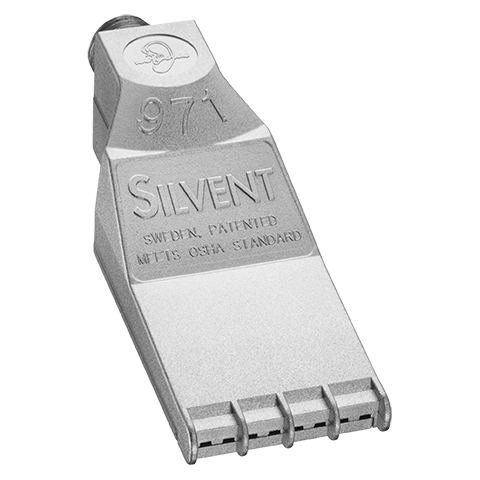 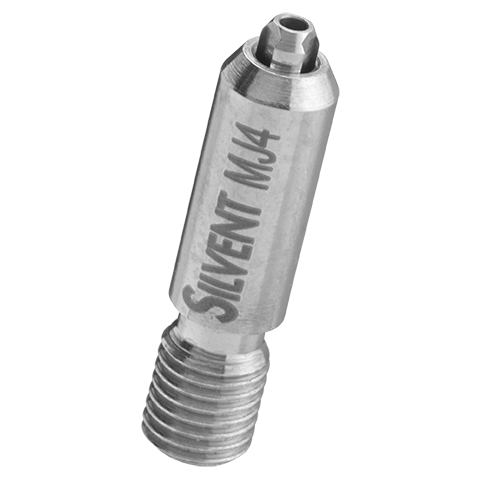 SILVENT 952: self-rotating nozzle designed to provide efficient and even blow-off of large areas. 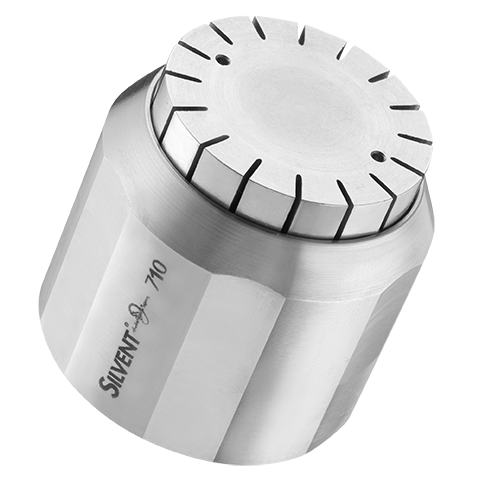 For example, wide polishing machines used in the wood working industry make use of rotating nozzles to achieve even and efficient blow-off of the entire wood surface. 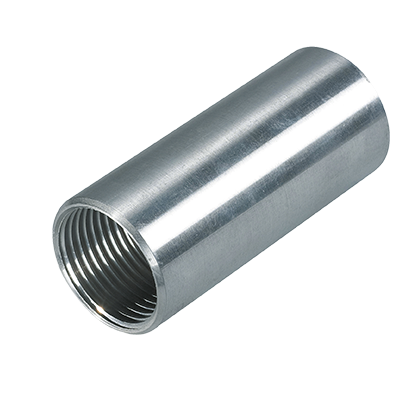 Conventional open pipe blow-off results in spotty blowing that fails to cover the whole surface and, therefore, uneven quality. 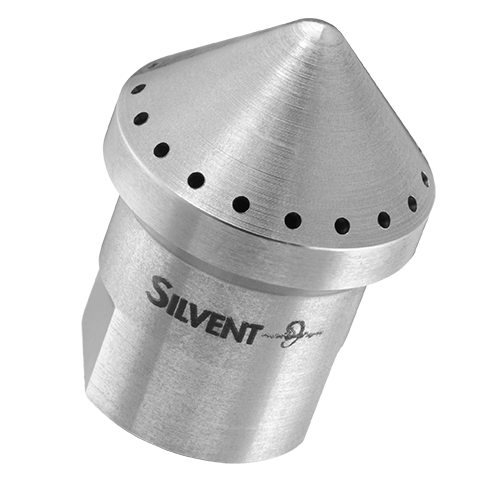 An integrated dust removal system is normally used in connection with the rotating nozzles in these wide polishing machines, disposing of waste in an efficient and environmentally sound manner. 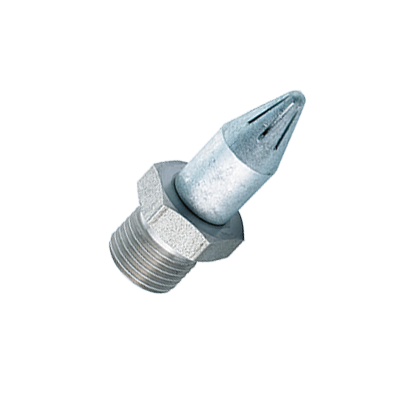 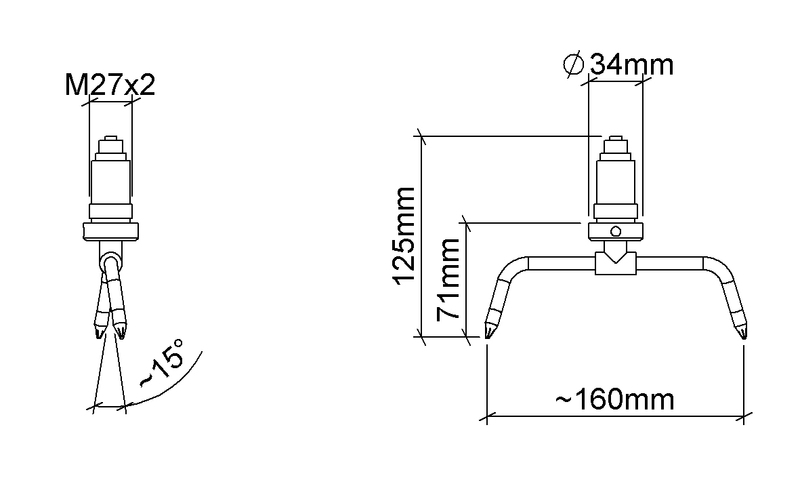 As the nozzles rotate at high speed and force, the accompanying safety instructions must be followed during installation and use. SILVENT will gladly supply these safety regulations upon request, as well as in conjunction with initial delivery. 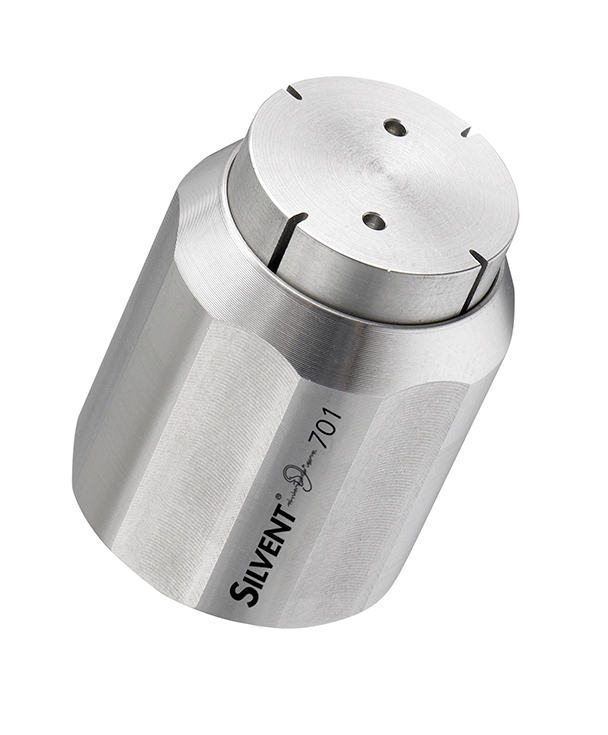 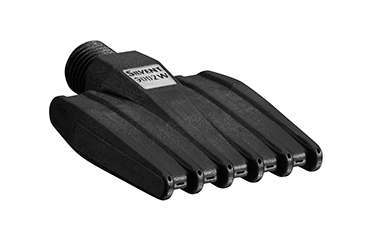 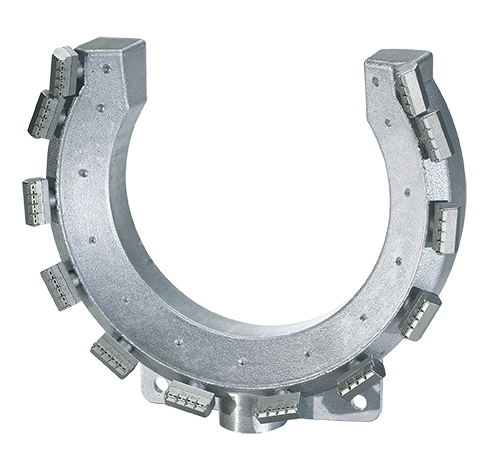 Fully complies with EU Machine Directive noise limitations.